It may be possible to design drugs that mimic the positive health benefits of gut bacteria to treat diseases such as type II diabetes, a new study has found. 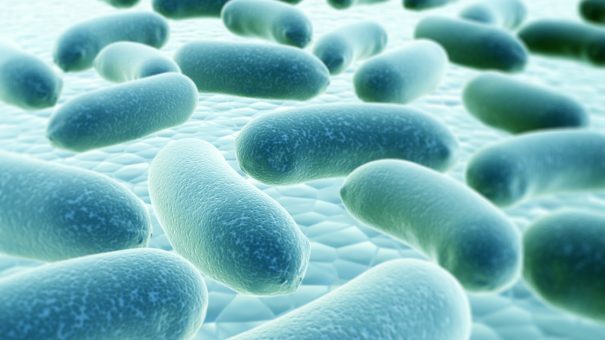 It is known that bacteria in the gut can provide positive health benefits, but so far the mechanism by which gut bacteria works has been unclear. Scientists think one possibility is that gut bacteria, by fermenting starches in food such as oats and pulses, produce compounds called short chain fatty acids (SCFAs). One of these SCFAs is acetic acid – the main component of vinegar. In a four-year study, an international team of scientists, led by the University of Glasgow, team used a combination of genetics and pharmacology to see if one of these receptor proteins – called short chain free fatty acid receptor 2 (FFA2) – when activated selectively by drugs, generated responses in the body that underpin the health benefits of gut bacteria. Andrew Tobin, professor of molecular pharmacology at the University’s Institute of Molecular Cell & Systems Biology, said: “Through a clever genetic trick, we have been able to determine that the levels of glucose in our blood and fat in our bodies can be controlled by gut bacteria. The paper, ‘Chemogenetics defines receptor-mediated functions of short chain free fatty acids’ is published in Nature Chemical Biology.